One of the many things I have learned over the past several months is just how unreliable so-called “vital records” can be. Again and again, there are errors and inconsistencies in the documents and records of our ancestors. 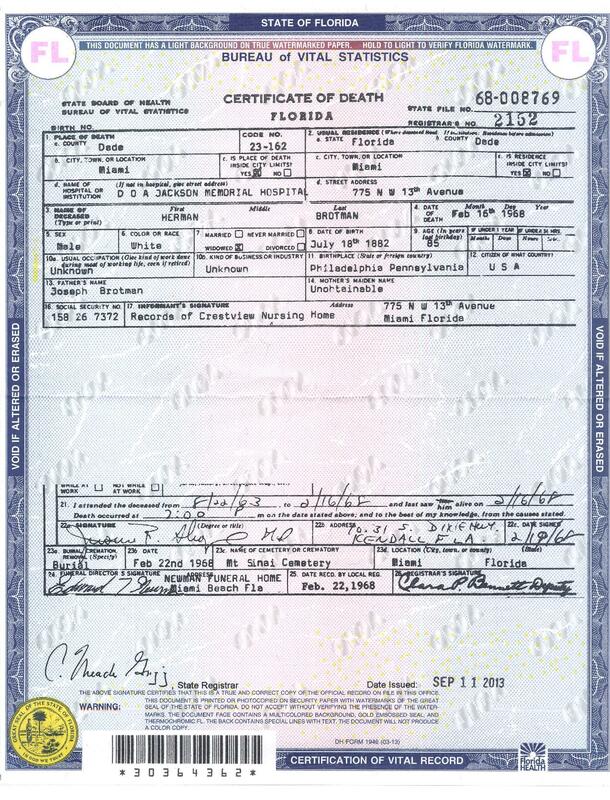 Names are spelled wrong, birth dates change from document to document, places of birth are inconsistent from one document to another, as are the names of parents listed on those documents. Herman Brotman is a good example. First of all, his name kept changing. He was Chaim Brodmann on the ship manifest when he emigrated, Hyman Brotman on the 1900 census while living with his parents at home, and then at some point he became Herman Brotman, though his family always called him Hymie or Hyman. These were, however, not mistakes, but actual changes he made to his name. On his naturalization papers, he listed his place of birth as Jeekief. On his death certificate, his place of birth is Philadelphia. His mother’s name on the death certificate was “unobtainable.” Now I have received his social security application, which he filed in 1952. It lists his birth date as July 18, 1883, whereas his death certificate lists it as July 18, 1882. 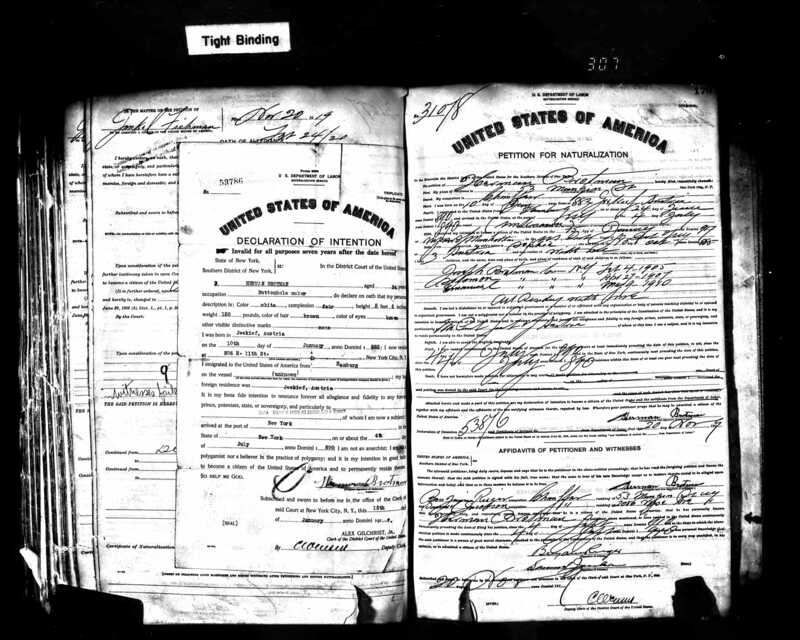 On his naturalization papers he wrote his birth date as January 10, 1883. 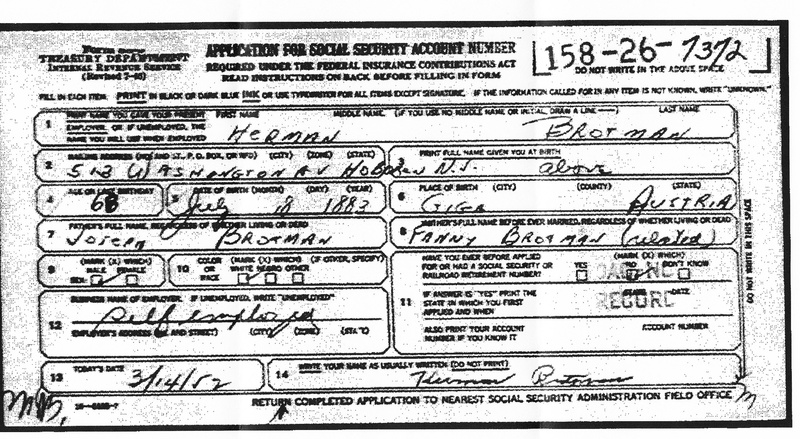 The social security application lists his mother’s name as Fanny Brotman, not Bessie. And it identifies his place of birth as Giga, Austria. It’s enough to make a researcher crazy! Now the birth date I am willing to chalk up to absence of records; I’ve read that in the Old Country no one celebrated birthdays so it just didn’t matter. The place of birth? Well, obviously Philadelphia is just wrong. And I imagine that little Chaim, who was about eight years old when they left Galicia, probably never learned how to spell the name of the town, so both times he was trying to do it phonetically—Dzikow, which may be the town where they were from, is pronounced Gee-kuff, so Giga, Jeekief? Close enough. But I was really thrown by his use of Fanny. Could he have forgotten his mother’s name in 1952 and written Fanny by mistake? That just seems so unlikely. He knew enough to note that she was related to her husband in order to explain why her maiden name was also Brotman. He had grandchildren who were named for her, using the B in Bessie. He must have known his mother’s name. I consulted with my mentor, Renee Steinig, who suggested that perhaps Bessie had a double name, which was not uncommon even then—a first and middle name. 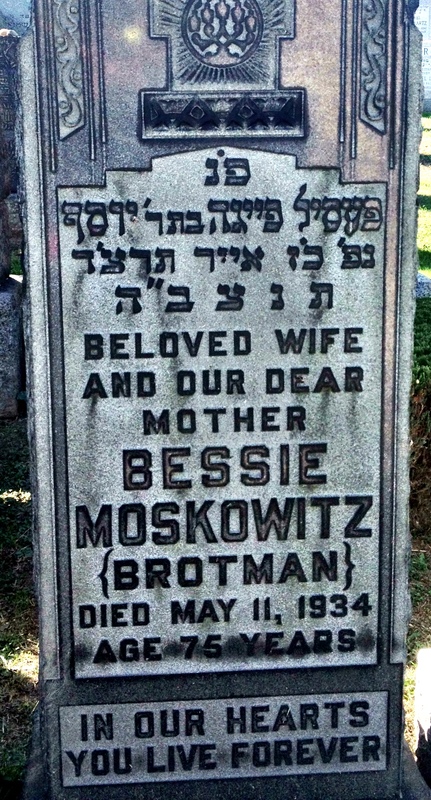 I then recalled that Bessie DID have two names on her headstone—Pessl Feiga! I looked up Feiga on the web and learned that it was often Americanized to Fanny. I have never, ever heard of Bessie referred to as Fanny, but perhaps she was. And maybe 68 year old Herman who was also Hyman and Chaim decided to use one of his mother’s alternative names on that government form. I don’t know, but it seems like the only logical explanation. I guess I will now order Hyman and Sophie’s marriage certificate and see what he listed there for his mother’s name. Have any of you ever heard of her referred to as Fanny? 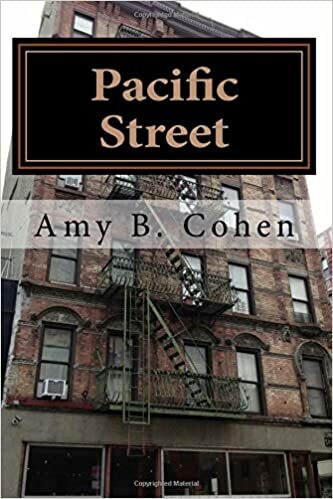 This entry was posted in Brotmans, Genealogy, Miscellaneous information and updates and tagged accuracy, Death certificate, errors in names, Galicia, truth, vital records by Amy. Bookmark the permalink. There used to be a lot more of that than now – or maybe not! I believe my Mother’s birth certificate shows Ida, although everyone in later years knew her as Renee. We know how that path developed but no one could ever guess it! Even now: my husband’s birth name was Robin, but until I came into his life and he decided he wanted to be Rob, he was known as Bob! It’s good that you found that Sophie’s middle name could translate to Fanny. Perhaps, as she got older and more Americanized, she decided Fanny was nicer. Maybe—we will never know. Or perhaps Hyman called her that or maybe he really just forgot or remembered both names and chose Fanny for some reason. The changing of names is always an issue. I have family members who temporarily adopted their middle name as their preferred name, people with nicknames that have nothing to do with their real names, and so. But you’d think on an official government document you’d be more precise!